Take your interior style to the next level when you choose a new set of flooring in Owen Sound, ON. At Greyfair Flooring, Inc, we carry a complete selection of materials for every room in your residence. Whether you are looking for the regal look of hardwood or the cozy feeling of carpeting, shop with us for endless home flooring options to fit your taste and style preferences. Our local showroom features a full collection of products to choose from to enhance the style of your home. Shop with us today to make your house stand out for all of the right reasons. Are you ready to transform one of your home’s largest surfaces? 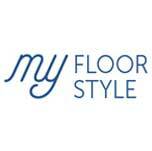 Make the right investment in your residence when you choose one of the products at our local flooring store. Our expansive showroom is stocked with a wide range of colors and styles that make any room pop. We carry a range of options, and our sales team is happy to work with you to ensure you find the floors that meet your needs in appearance and performance. With all of the options available on the market today, we understand that it can be difficult to make the right choice for your space. No matter what you are searching for, our residential and commercial flooring experts are happy to help you throughout the process. Our flooring specialists are dedicated to guiding you every step of the way. We are available to show you around our flooring store until you find the perfect solution for your home or office. Whether you have a clear picture in mind or you simply do not know where to start, turn to our sales professionals to help you sift through flooring options and brands for every style preference. Once you decide on the right new flooring for your location, let us complete your project for you. Our experienced team of professionals has the knowledge and expertise to handle a flooring installation with any material. Make the most out of your home update by investing in professional installation. We employ experienced installers with the ability to properly complete the job and make sure your floors are installed to last. Our skilled installers know what to do in complicated situations, how to properly join junctions between different rooms, and cut with the right materials. Our team is fully equipped with the right tools and education to complete your installation with care. Have an idea for a new look at your home or business? We are here to help! 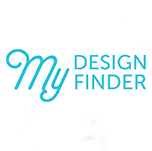 Our specialists are happy to work with you to discuss each of your design projects with you. Whether you have a specific color idea for your bedroom or a certain theme you want for your waiting room, we have the inspiration you need to bring your visions to life. Turn to our team today to make the right choice for enhancing the appeal and value of your home. Contact us today to learn more about the flooring options available in our flooring store. We are proud to serve clients in Owen Sound, Port Eglin, Wiarton, Kincardine, Hanover, Meaford, Flesherton, Tobermory, ON, and the surrounding areas.